That’s not often the case in Savannah. The profession of “taxi driver” is famously a draw for eccentrics and, in a city full of eccentrics, you really get the crème de la crème. 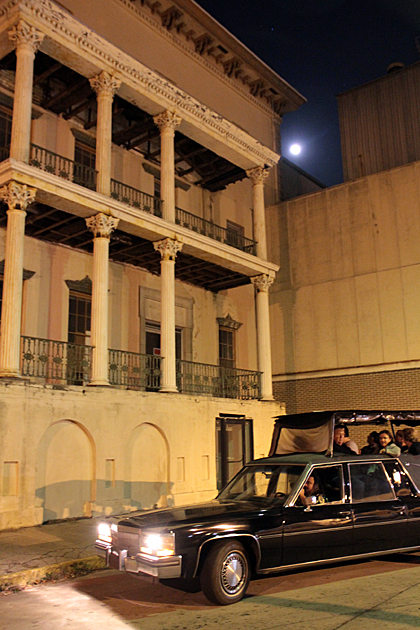 Every time we hailed a cab in Savannah, it was a memorable experience. There was the unappreciated poet who insisted we read his work before we left the car. The guy who had met Paula Deen’s husband and talked bitterly about how jealous he was. Or the freakishly huge, bearded dude telling us about the trouble he got into at his favorite Gentlemen’s Club. 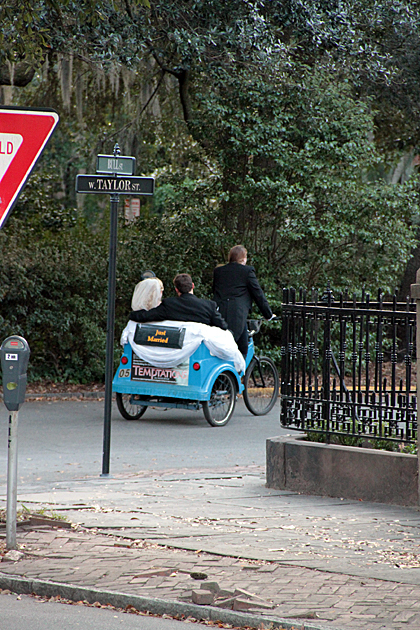 Of course, taxi drivers aren’t Savannah’s only larger-than-life characters. We hardly went a day without encountering another strange and charismatic person. From just the past week, I can recall the bug-eyed tour guide more interested in discussing conspiracy theories than giving a tour, the soft-spoken rasta dude who suddenly revealed the six-foot dreadlocks rolled up inside his hat, the guy who’s become a local celebrity for his perfect Forrest Gump impression (and it really was perfect), and the grumpy bartender who we saw threw three different dudes out of her bar. Maybe Jürgen and I fit right in here. We were talking to someone about what we do… how we travel around the world for 91 days at a time, and don’t really have a home… and she said something like, “You guys are crazy!” It took me off guard. I mean, this was an Asian woman with a deep Southern drawl and dyed green hair, wearing fishnet stockings, and chewing tobacco… and we’re the crazy ones?! Heh. But maybe there’s some truth to that… and it could be why we felt so at home in Savannah. Crazy Taxi Drivers and Other Savannah Characters In most cities, you hail down a taxi and drive in silence to your destination. At best, the driver comments on the weather, or is talking on his cell phone in a language you don't understand. You'll pay your fare and think how uneventful and efficient that taxi ride was, if you think of it at all.